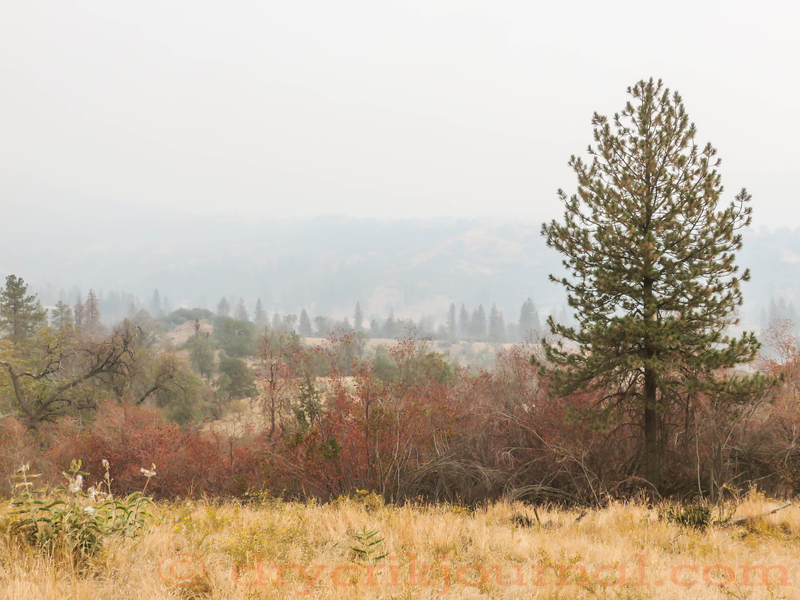 Smoke continues to get worse throughout the Valley as the Rough Fire moves within a mile of the 2,000 year-old General Grant Tree and grove of giant Sequoias, also threatening the communities of Wilsonia and Pinehurst as it moves up the Mill Creek drainage, and towards the town of Dunlap on the western edge of the fire. Currently consuming 128,000 acres in the Kings River watershed with only 29% containment, the fire is expected to burn rapidly through the drought and pine beetle impacted timber today. Cost to date to fight the fire, that began with a single tree struck by lightening on July 31st, approaches $80 million. 2,570 personnel, 14 helicopters and 18 dozers battle the blaze in rough terrain. Mandatory evacuation orders have kept Dry Creek Road busy. We helped haul four gooseneck loads of horses and mules from Miramonte yesterday, the last of the stock removed from the Cedar Grove Pack Station ahead of the fire that now burns upcanyon past Hotel Creek and towards Granite Lake. Park and pack station structures were saved. Cooler weather is forecasted after today and into next week that should help firefighting efforts. This entry was posted in Photographs, Ranch Journal and tagged Cedar Grove Pack Station, Giant Sequoias, Grant Grove, Rough Fire. Bookmark the permalink. Wow…just wow. So glad you’re there to lend a hand. We need rain desperately. A good rain would help, but nothing of any consequence in the cards. Are you boarding the animals you helped move? Where did they go? Two gooseneck loads of stock are here, nice having the mule personalities around. I love mules. I know Bobby Tanner from Red’s Meadow and his mules. I’ve shot them when they’re pulling the 20 Mule Team wagons. Mules are great animals. Good luck with all of this… I feel for you. An awful situation. Dry, dry, dry!!! Returning to a desert? Maybe. Thanks for sharing this information. Hard to be objective with a month of smoke in your lungs, all so unnecessary. So true, John. Try to stay healthy as difficult as it is. It hurts my heart to see so much of the best of California in flames. Perhaps it will at least bring the beetle into check. Fire is necessary for the Sequoia. Small tarnished silver lining. Seems like it would be cheaper to have a fleet of water/retardant bearing aircraft patrolling after every lightning storm. I watched as a TV helicopter spotted a strike start a fire and how fast it grew before water arrived. I took a picture in the same place today – still smokey. We are hoping we do not have to have a big cattle drive down the hill. Neat country, Virginia, I’d never been there before. It looks a little easier to defend against fire, obviously brushed before. Maybe with cooler weather coming and all the backfires, they can get a handle on this fire. The prospect of having to get all your cattle off the hill is daunting. We’re here if you need us. Unfortunately, here in Australia, we know only too well what it’s like. I hope you get some decent rain soon. We’re getting closer to that time when it might rain, c’mon El Nino! Have been drenched over the last two days. Would send some if I could. Praying for you. Fingers crossed it extinguishes itself. 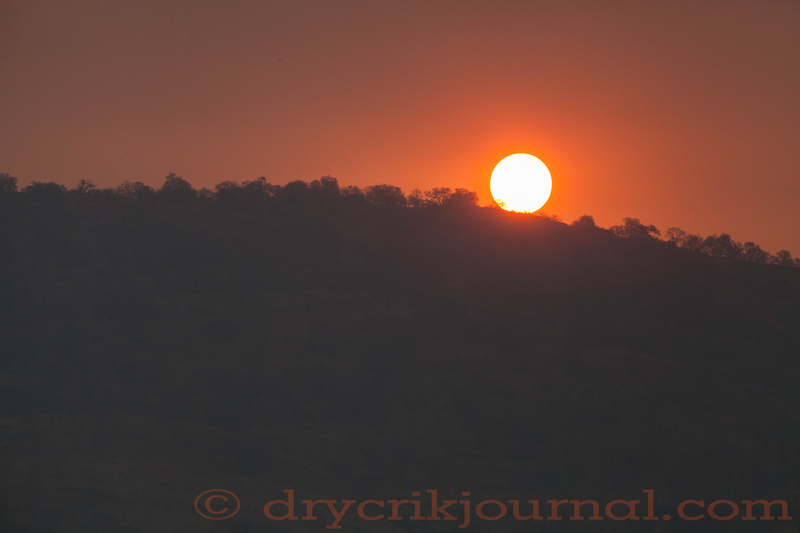 Our bushfire season is almost here.